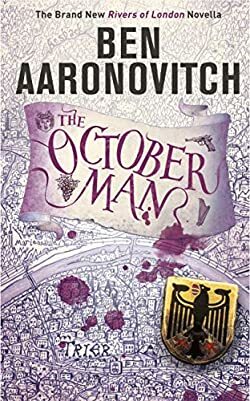 Ben Aaronovitch is the author of the popular urban fantasy/mystery series Peter Grant, featuring Peter, a police constable, and an apprentice wizard. Reading the author’s books in order starts with Rivers of London, his debut novel and so far most popular book, which has also been published under the title Midnight Riot. While officially the series is called Peter Grant series (due to the main character’s name), many people call it Rivers of London series (based on the series’ first book). Here are the Ben Aaronovitch books in order for his popular series and his Doctor Who novelizations. Peter is a young officer in the Metropolitan Police who is trying to maintain the law and order among the not-so-normal population of the place. The Rivers of London series includes to date 6 books. Ben Aaronovitch was born in 1964 and was raised in London. He went to Holloway School. In his early 20s, he realized that he has a knack for writing and that he enjoys it. Also, he hated doing physical work of any kind and felt that writing was the only thing he was really good at. The first Ben Aaronovitch books were two Doctor Who serials for the BBC, followed by an episode of Casualty. He even wrote for SF soap opera Jupiter Moon. Next, he wrote several Doctor Who novelizations, as well as original novels. He was, in fact, the very first Doctor Who author who made Daleks levitate.At some point in his career, he also sold books for Waterstones, when his writing career seemed to be in a funk. As he was shelving sci-fi books in the store, he decided that he would be best suited to write his own books rather than write for others. And so Rivers of London was born and, with it, the new popular series as well. The PC Peter Grant series is part urban fantasy part magic-infused police procedural with a very British flair. The main character of the series, Peter Grant, is a Police Constable and a magician’s apprentice. He is also the biracial son of a jazz musician and an African immigrant. His humor is engaging and very personal to him. Some of the lines in the book make you really laugh out loud. Before publishing his book, Midnight Riot (which is also called Rivers of London), author Ben Aaronovitch gave it the work title Magic Cops. It would have been a TV story, however, after Ben Aaronovitch watched the new (at the time) Dresden Files TV show by SciFi, he realized that the two characters are very similar, so he put the TV idea aside. Next, he read all the Dresden File book and noted too many similarities between Harry and Peter’s storylines, so Ben had to rethink his strategy, lest he is called a literary thief. He even had to change the magic Peter was used to be different from Harry’s complex magic system. Initially, he made what would become Peter Grant, a woman with parents from Jamaica. However, as the character grew, Ben realized that the main role is best suited to a man. Peter is from North London with an accent that easily betrays him. Readers of the Harry Dresden series by Jim Butcher will love Peter Grant. The author has loosely created the series based on the Inspector Rebus, Morse or the 87th Precinct book in terms of writing each book as case files for their procedural aspects. However, there is a lot of folklore included in the books as well. For example, The Goddess of the Thames is a Nigerian immigrant. Father Thames is an old guy who was around during the Romano-Celt times who has returned after being away since the 19th Century. 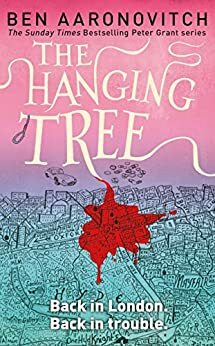 The Hanging Tree is Ben Aaronovitch’s latest Peter Grant full-length book. Here, Peter has to deal with the posh rich and famous of the London elite world. In addition, the book answers some of the questions left hanging from before and picks up threads from various different previous books, so it’s really best if you read the Ben Aaronovitch Peter Grant series in proper chronological order starting with Rivers of London. A new book, Lies Sleeping will be published mid-2018. Still, the story added a few new questions to the minds of the series’ readers, so we know that the Peter Grant story is nowhere near end. Peter’s promotions are always delayed since he has a knack for blowing things (including landmark buildings up). In this latest episode, malls and luxury apartments are next. Not that he chooses to do all that damage, but things just happen when he is on watch. The next story is The October Man, a short novella published in 2019. This book takes place in Germany, where Tobias Winter and Vanessa Sommer have to solve a series of murders that have something to do with the supernatural. The book series has also been adapted into a comic series. 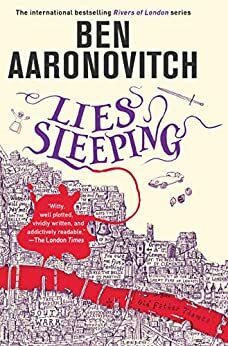 Ben Aaronovitch is currently living in Wimbledon and is full time working on his Peter Grant urban fantasy mystery series. He has recently gotten involved with Cityread in London, an event which is celebrated each April, where people read one book a month. 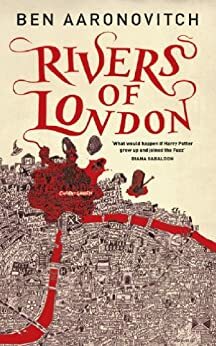 Rivers of London was part of one such month where people would read only that book in London. Of course, the fact that the book title has “London” in it helped as well.